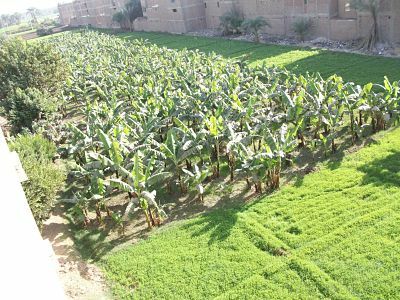 Awamia,5 min from Luxor-town and 50 m from the Nile 1750 m� land for sale 22OO EGP/m� possible for 100m� or more. water, electricity and sewer system present. no loss of land for the street. You buy 100m you build 100m. straight from the owner.